NEW YORK -- A four-alarm fire on the 50th floor of New York City's Trump Tower left one man dead and six firefighters injured, the FDNY said, the second blaze this year at President Trump's Fifth Avenue high-rise. The cause of the fire is still unknown. The NYPD identified the victim as 67-year-old Todd Brassner. "The apartment was virtually entirely on fire. They pushed in heroically, they were knocking down the fire, they found one occupant of the apartment on the 50th floor," Fire Commissioner Daniel Nigro said. The FDNY said that six firefighters suffered injuries. More than 44 units and about 190 firefighters responded Saturday. Nigro said units went up with the Secret Service to check Mr. Trump's residence. Some smoke reached some of the floors above the fire, he said, but it was unclear if it had reached Mr. Trump's residence. There were no members of the first family in residence. Mr. Trump tweeted at 6:42 p.m. Saturday that the fire had been extinguished, although Nigro said it wasn't yet under control at the time due to the smoke conditions on the upper floors. Mr. Trump's son Eric, who lives in the nearby Trump Parc building, tweeted that the fire had been extinguished. He also thanked the fire department. Trump Tower, which opened in 1984, is located on Fifth Ave. and 57th Street in midtown Manhattan. Before moving to the White House, Mr. Trump, the first lady and Barron Trump lived in the triplex penthouse apartment, which occupies sections of floors 56-58, according to Forbes. The apartments are listed on floors 66-68, although the building is technically only 58 stories high. The headquarters of the Trump Organization are on the 26th floor. 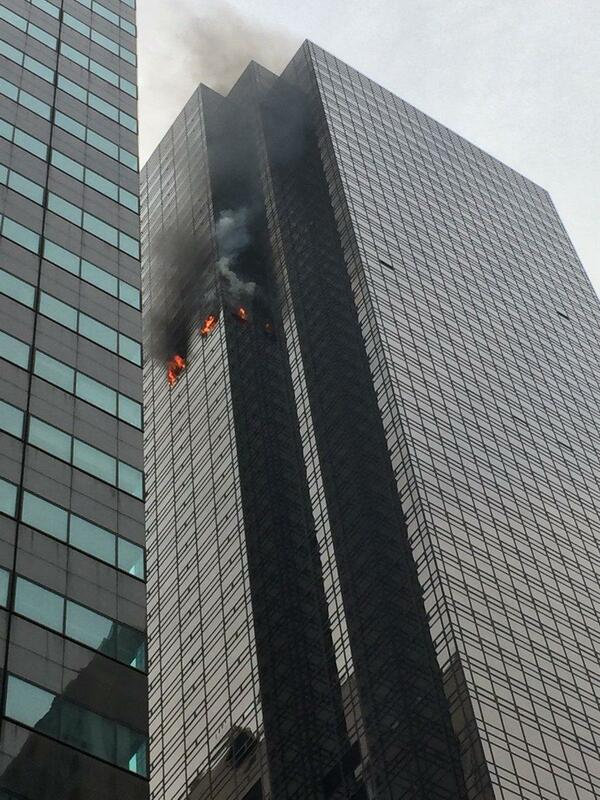 There was a fire at Trump Tower in January Two people suffered minor injuries in that fire, CBS New York reports.